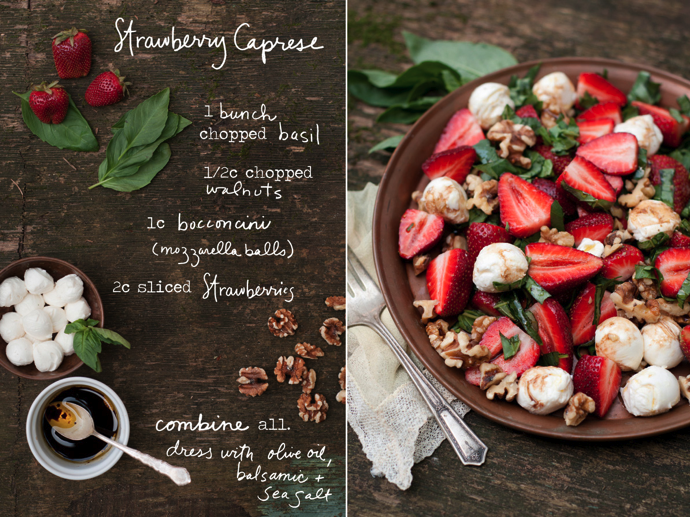 This strawberry caprese is delish, I promise you won’t fall asleep at lunch from boredom, it’s a tasty alternative to a regular salad. Give it a try. So simple. Mix all ingredients. Add the final touches of extra-virgin olive oil, balsamic, and sea salt to to taste. Enjoy! *Photos by Erin Gleeson for The Forest Feast.